I want this blog to be able to scale, and be as fast as possible for you. Therefore, I’ve decided to go with premium, managed hosting. Since 2011, I’ve had to be equal parts guitar player, blogger, and website technician. While I’ve learned a lot, I just want to be a guitar player and focus on this blog’s content. With managed hosting, WP Engine takes over the back end of my blog — allowing me to just play guitar and write. At least that’s the idea anyway. When I switched hosts last week, I had a few glitches for about 48 hours. If you experience any problems, please let me know in the comments section. Your email will not be published. 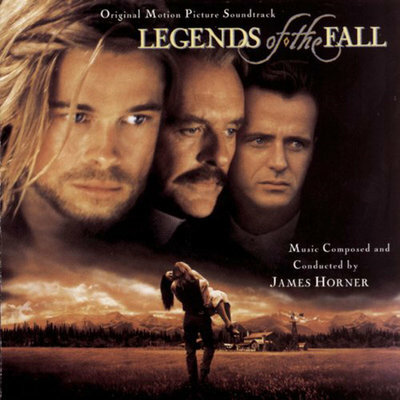 Composer, James Horner, tragically died in late June when his private plane crashed in California. I’ve been going back through his catalogue, and by far, The Ludlows (Legends of the Fall) is my favorite piece. Gustavo Santaolalla is my favorite composer/guitarist. I’m very familiar with his style — so I tend to look at the music I arrange from a What would Santaolalla do? perspective. With James Horner’s The Ludlows, I wanted to create a pretty and minimalist guitar piece in the style of Gustavo Santaolalla. The guitar tab for The Ludlows is barely two pages long. There’s a long passage in the beginning that is repeated twice — which I’m calling that the verse. The chorus serves as the outro for The Ludlows.